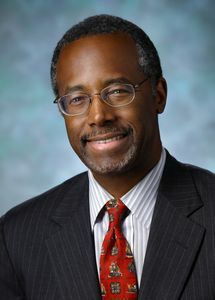 The Big Picture by Ben Carson, M.D. In his grade school days, Ben Carson would hardly have been voted "most likely to become a famous surgeon." His classmates had already given him another label: class dummy. Then a light clicked on for Ben-and a consuming passion for learning that catapulted him from "zero" test grades to a Yale scholarship, a pioneering role in modern medicine, and an influence that has extended from inner-city schools to corporate boardrooms and Washington corridors of power. What made the difference? Belief in his own potential, a commitment to education and making the most of his opportunities to learn, determination to make the world a better place, and faith in a God who knows no limits. Seeing the Big Picture. In The Big Picture, Ben Carson reveals the spiritual and philosophical foundations that undergird not just his dramatic career, but his approach to all of life. As in his best-selling Gifted Hands Dr. Carson shares colorful behind-the-scenes anecdotes. As in Think Big, he describes his practical principles for success. But The Big Picture is more than an autobiography or a personal-effectiveness manual. Rather, it's a multifaceted look at the faith and vision that can see us all through hardship and failure, and stir us to bold exploits on behalf of something greater than ourselves. Dr. Carson begins by describing how he cultivated a Big-Picture perspective in his own life. Then he discusses ways to which all of us can approach parenting, family, business and friendships with the Big Picture in mind. Finally he looks at some pressing social issues-in particular, racial diversity, health care, and education-and considers how we ought to view them and what we should do about them in light of the Big Picture. Drawing on a vast array of experiences in roles ranging from trailblazing surgeon to public speaker, to husband and family man, Ben Carson shows how we can turn the course of our lives, out communities, our country, and our world by keeping the Big Picture always in mind.